Most of us don’t take much time to think very much about how our cats behave and, for the most part, our cats cause us very little trouble in terms of their behaviour. However, problems can sometimes arise because we, as owners, don’t understand the natural instincts and reactions of the cat. We don’t always realise how simple things, such as how we feed them or how we provide litter trays, can make a big difference to their lives. 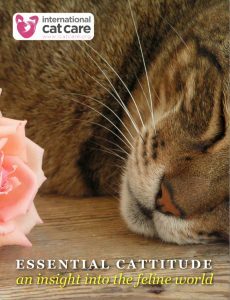 Cats are generally highly adaptable, but living closely with people and other pets can be very challenging at times and, occasionally, the cat may behave in ways that we find difficult.